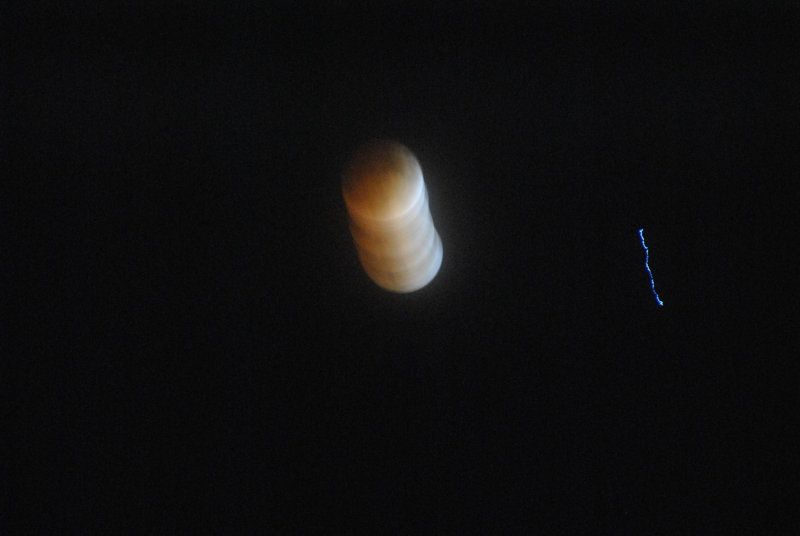 I’ve known this was in the works since about January of this year, and had it on a sticky note on my desk; April 15th, Lunar eclipse. I know it’s a bit on the nerdy side, but as the kid who wanted to be Sally Ride when she grew up, it’s pretty much in character for me to respond this way. So naturally I was definitely staying up till midnight for the ‘blood moon,’ and worrying off and on, all day, that the clouds wouldn’t clear and I’d be denied a window to see the celestial happenings. 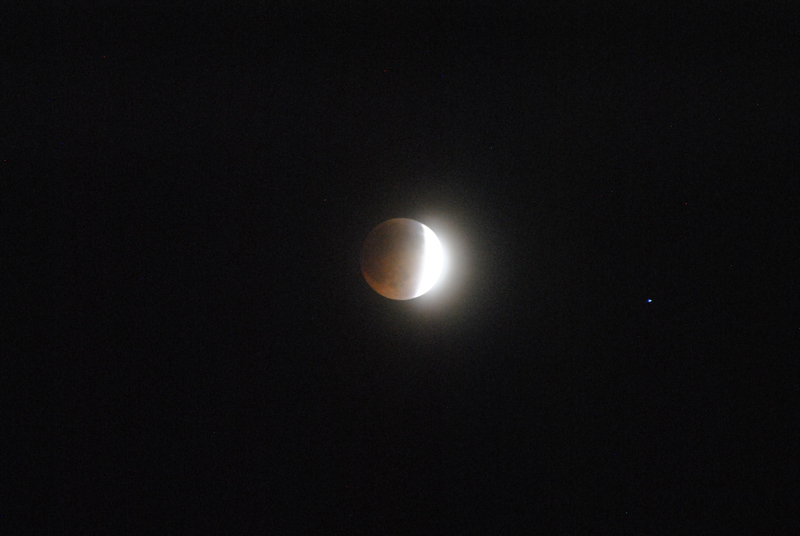 Thankfully, the cosmos cooperated, and it was brilliant and just plain neat. I come by it pretty honestly as it turns out. I texted my mum to find out that she and my dad stayed up to the obscene CST of 2:30 am; they were outside, huddled up from the cold Midwestern evening with blankets. I won’t tell you how old my parents are, but this is their fortieth year of marriage so you can do some math, and no doubt get a near guess. In case you didn’t know, my parents are pretty awesome. I wasn’t alone in my adventures either; my sister and brother-in-law joined me in star and moon gazing for the hour, we giggled and joked, oohed and awed , while the shadow passed over the surface of the moon, giving a beautiful copper penny colored view of the frequently less visible lunar craters and mountains. There was even a conversation regarding my two year old nephew, waking him, and if he would appreciate. The consensus was he might not have seen enough regular moons to know when a rare one shows up. Speaking of these rarities, there are three more of these lunar eclipses in the next two years… and in case you’re wondering? I have those scribbled on a piece of paper too. If you missed this one, I recommend that you set your clock for at least one of them, and enjoy one of natures many lovely light shows. I suspect I’ll be up for repeat viewings; I hope, like my parents, I’ll be the kind of person who never grows weary of the wonder of life.